Are you overwhelmed and stressed out as an online entrepreneur or blogger? Are things starting to fall through the cracks - not just in your business, but in your life, too? You need to slow down, simplify, and make room to streamline and automate your business and life to save time and a whole lot of stress. You might have heard of books like the Four Hour Workweek and wondered how you can actually put some of the ideas into practice as a "regular" person. Heck, if you could just save a few hours a week you'd be pretty happy. 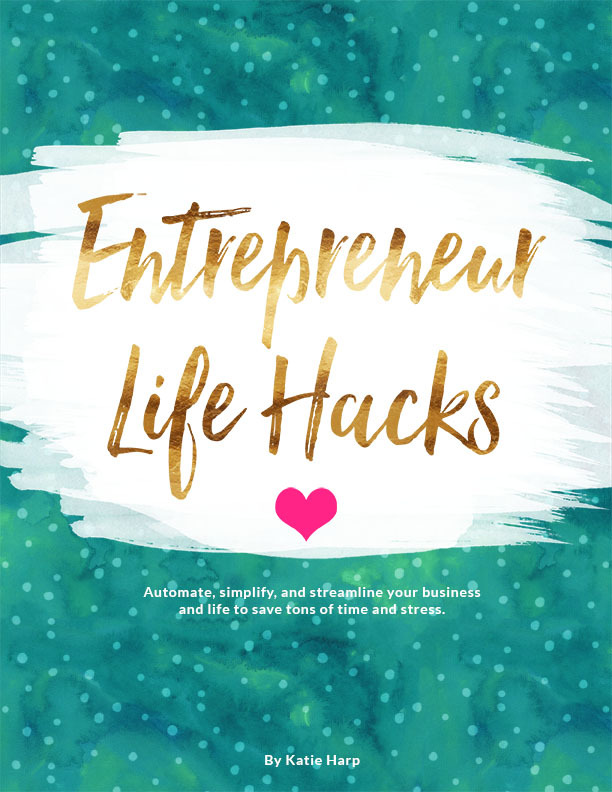 In Entrepreneur Life Hacks, I'll give you tons of actionable tips and advice to put your business's marketing on autopilot, streamline your client intake or sales systems (if applicable), and stop spending so much time working IN your business so you can finally work ON your business and grow your online empire. How would it feel to never have to schedule social media updates again? Not only that, but I'll also walk you through some sneaky life hacks for your every day life too - including how to save time on cooking and cleaning (which is taking time away from writing for your blog or working with clients!) and minimize all the "stuff" you have to do on a regular basis. All in all, this ebook is chock full of my tech and tool recommendations that you need to literally automate entire areas of your business, tips on how to streamline your business and create powerful time-saving systems and processes, ideas for quick things to improve in your business and life, along with encouragement and the permission slip you need to stop having to do everything yourself. 56 page instant download PDF file. Can be read on any device or printed. Hi there! 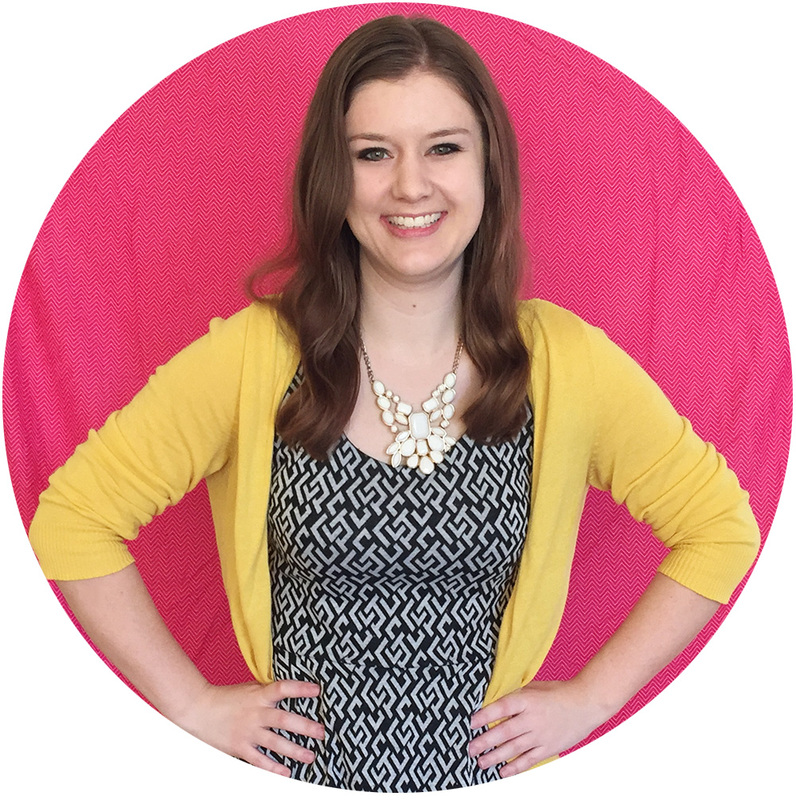 My name's Katie Harp and I'm the founder of Katie Harp Creative and the creator of Entrepreneur Life Hacks. I've been an entrepreneur since the tender age of 7 when I hand-drew a magazine with a turkey on the cover and started making money online when I was 11 by selling t-shirts and running ads on my blog at the time. I've run many different online businesses, including an inspirational personal development app and blog that reached over 70,000 monthly page views (and over 130,000 page views in its highest month! ), as well as a lifestyle and organizing blog, and over the years I've learned a ton of tips about how to save time, be more productive, automate the things you don't want to do, and more! Note: I give advice on what to do and what tools to use, but this does not include tech training. What could you accomplish with an extra 5-10 hours every week? 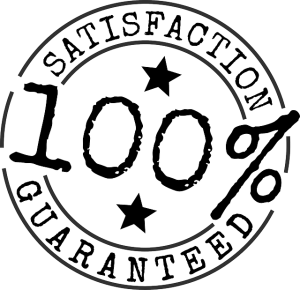 56 pages of actionable advice and recommendations. Copyright 2014 - 2019 Katie Harp Creative and Katie Harp.